I have heard about IPSY for so long now & have always wanted to try it out but always ended up putting it off. I mean for crying out loud it is only $10/month. I figured it would be a great way to try out products for my kit because I am getting tired of what I already have. I personally don’t like the smell of this..I think it is a little too intense. It is very moisturizing though & I love that it is organic. This reminds me of a similar product : L’Oréal® Paris Magic Perfecting Base Face Primer..& I actually think I like the L’Oreal one better. This is the most perfect eyebrow pencil shade! I love it’s fine point and precision. 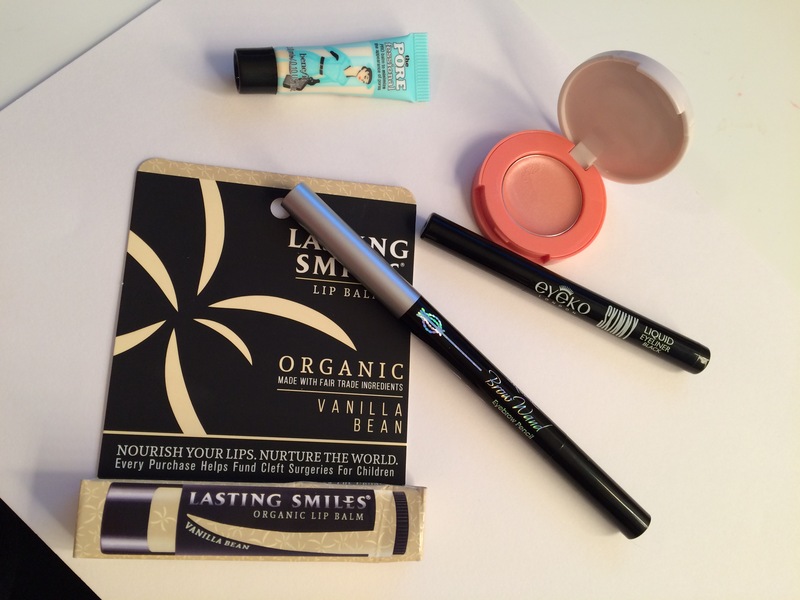 I bought a mini Eyeko mascara kit years ago & I loved it so much! However when I finished it, I just never went back to get more for some reason. You know how that is! Anyways they aren’t lying when they say it is smudge-proof which is amazing! So that is all that was in my Ipsy Bag. I was expecting something a little more from all the hype but I do think this is really cute. I can’t wait to see what is in my next Ipsy Bag. I would also like to see what other beauty boxes are out there to compare & I will get back to you on that. I hope you are having a wonderful night or day wherever you are!